Need some help with the lingo here at the North Plains Groundwater Conservation District? Below you will find information regarding terminology as well as how business is conducted at the District. A Groundwater Production Unit (GPU) is needed for everyone owning groundwater rights in the North Plains Groundwater Conservation District. 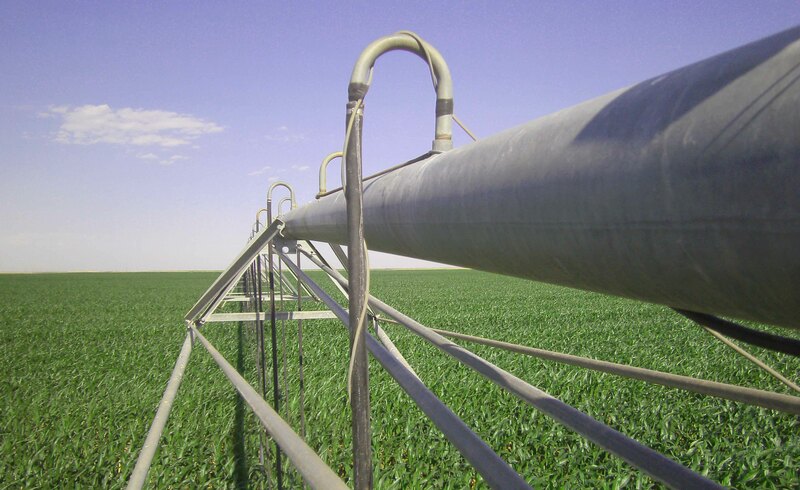 The District requests an Affidavit of Ownership be completed for recently purchased groundwater rights and can assist producers with creating GPU’s for contiguous acreage to maximize the Annual Allowable Production of 1.5 acre-feet per acre. All wells in the District must be registered or have a test hole permit or well permit issued by the District. No water well drilling can begin until the proper documentation and applicable fees have been accepted and approved by the District. All other wells must request a Well Construction Permit and/or Test Hole Permit. Once a permit is signed and all fees paid ($500 for Well Permits, $100 for Test Hole Permits), the District can usually approve and complete the permits within 7 business days. A Well Permit is valid for 150 days and a Test Hole Permit is valid for 60 days. Anyone requesting a Well Permit, Test Hole Permit, Property Line Spacing Easement, Declaration of Groundwater Production Unit or Well Reclassification Form must either be the owner of the groundwater rights or the owners authorized agent. An Agent Authorization Form must be completed, signed in front of a notary and on file in the District office. All owners of non-exempt wells are required to report the annual groundwater production from those wells by March 1 of the following year. A Metering Method form must be completed and filed with the District to ensure Annual Production Reports have accurate metering information. An owner may use an alternative metering method for all wells in existence before October 14, 2003 to report groundwater withdrawals from a GPU until the owner applies for a permit to construct a well or amend an existing Well Permit on the GPU. At that time the owner is required to install and report annual production from flow meters at the pump on the new well and all other sells within 365 days after the date the permit was issued. Owners of GPU’s of less than 640 acres and not contiguous with the owners other GPU’s may request to be allowed to install a flow meter at a central collection point. The District has a meter reimbursement program available to agricultural irrigation producers which will reimburse 50 percent of the cost of the flow meter. Information, requirements and applications for the program can be found at Meter Reimbursement Program. Do you have questions? Our staff members here at the District would be more than happy to answer any questions you may have. If you would like our help with your questions, please call our office at 806-935-6401.